New Reader Submissions of Alternative methods. If you’ve ever had a boil anywhere on your body, you know how painful they can be. You can take antibiotics to get rid of the infection, but sometimes going the natural route is much more effective, especially when the bacteria has for some reason grown resistant to regular antibiotics (which is happening more and more often). Turmeric is an extremely effective cure for boils and is found to work well when all other methods fail. There are two ways to use turmeric to cure boils. Simple enough, but most of us might have trouble swallowing raw turmeric. So do what suits you. 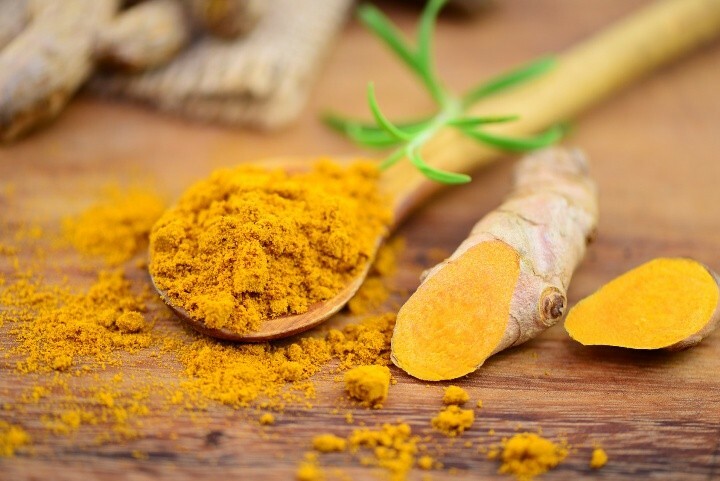 Whatever method you choose to take the turmeric, the dose is 1-2 teaspoons of turmeric powder three times a day, and more if you can take it. Combine turmeric with good fats and fresh ground black pepper. To increase turmeric absorption, combine it with any good cold-pressed oils or fats (such as almond oil, coconut oil, extra virgin olive oil, flaxseed oil, sesame oil or grapeseed oil). Black pepper added to turmeric has also been proven to increase the bioavailability of turmeric. I contracted via a Surgery that cleaned and Sticky Plaster closed a gash on my Leg. Soon a large area of infection appeared on lower leg above the Ankle roceeded to give me large doses of PENICILLEN for 6 month, saying that that was their only Remedy. Although there’s two popular methods here, I would recommend using both at the same time. This way you’re attacking the infected boil internally, by cleaning your body and skin of infection, and even more importantly, preventing the boil from re-infecting the surrounding skin (one boil can sometimes spread to more, or recur after some time elsewhere). And the turmeric that’s applied externally would hasten the drainage of the boil. Turmeric contains curcumin, which has antitumor, antioxidant and anti-inflammatory properties. Curcumin is a remarkable substance that scientists have studied for its abilities to fight cancer. Turmeric’s powerful blood cleansing properties also helps it to successfully cure resistant MRSA infections when antibiotics have failed. This page has received some useful information shared by generous commenters. I update this list periodically as more comments come in. Thank You to all the commenters for sharing! Henrietta successfully drained her boil with a honey and turmeric paste left on overnight. Nik used Boil Ease which made his boil recede in 3 days (it costs about $10 and can be bought over-the-counter at CVS, Rite Aid, Eckard in the First Aid section). Sheila shared her father’s remedy of using a scraped potato or peach tree leaves. Sage mentions putting tea tree oil and camphor on boils. Little Lee had good results treating a boil that was across an armpit with salt pork. The salt pork relieved the soreness immediately and led the boil to drain. His boil was cured after two days and has not recurred even after 6 months. Salt pork poultice is an old remedy. The fat and salt content of salt pork help to bring boils to a head. Ashley described her success at using banana peels on her boyfriend’s boil on another article (Banana Peels Works on Warts). Vicky asked if turmeric is safe for kidney transplant patients such as herself. Hi Vicky, turmeric seems to be okay and may even be beneficial for kidney transplant patients. However, its still best if you clear it with your doctor first. Below are some extracts from the web. You can click on the links to read the original text in full. Catherine asked if turmeric is safe to eat during pregnancy. Hi Catherine, I found contradicting views when checking on whether or not turmeric is safe for pregnant women. On one hand, turmeric is used in so many Indian dishes that many Indians ingest turmeric everyday. On the other hand, I also found a quote that mentions how turmeric cannot be recommended during pregnancy or breast-feeding in large amounts (greater than what is normally found in food) as turmeric may stimulate contractions of the uterus and may alter menstrual periods. To give you an idea of how much is in “foods” – in most Indian dishes, very little turmeric is actually added (usually a pinch or half a teaspoon). But so little an amount may not have much of an effect to clear your daughter’s boils. You can go to this page to read up more on using turmeric. There are many user accounts of it. But I can’t tell you for sure whether or not it is safe for your daughter to take turmeric as I don’t know myself. Perhaps its better to err on the side of caution and at least wait until she has given birth and stopped breastfeeding? In summary, small amounts of turmeric like those used in cooking appear to be safe but larger amounts is not advisable as not much is known about the effects to the mother and infant. Warts (and some moles) are usually a sign of potassium deficiency, and the idea of infusing a potassium-rich food directly over the wart to remove it does have some merit. Enter the humble banana peel, which is high in potassium, just like the fruit. Turmeric has been found to cut the skin's melanin production, helping suntanned skin return to its normal shade faster. Studies have shown that melanin content and tyrosinase activity are significantly inhibited by curcumin, which is found in turmeric. You can apply turmeric topically on your skin or ingest it (or do both for best results). I’ve found the tumeric paste to work really well when you just cover the boil with it. Once the boil.syarts draining it’s very raw. Do you continue to use.the paste.or use am ointment? If the area feels raw and has already drained, I think it could be better to use something soothing like extra virgin coconut oil or shea butter. This would also have the added benefit of minimizing any scarring as healing happens. TURMERIC PASTE TOTALLY WORKED ON MY PERIANAL ABSCESS!!! I HAD IT WHEN I WAS 22 AND NOW AGAIN AT 31 I FELT HORRIBLE PAIN AND TRIED THE TURMERIC PASTE TOTALLY WORKED AND I UNDERSTAND NOW WHY!!!! That’s amazing 🙂 Thanks for sharing, Sam!